Webkon makes scheduling appointments and patient management, easy. Your healthcare office is growing and you need the technology to manage your growth. Webkon instant apps makes matching industry growth simple. Allow patients access to faster appointment scheduling and healthcare advice via your instant app. Patients can browse profiles of the healthcare professionals in your practice. Allow users to message your scheduling department instantly from your instant app. Less barriers between patients and your office opens up new opportunities for communication. Simplify patient appointment reminders with instant push notifications sent directly to their mobile devices. List the services your practice provides and the locations patients can schedule their appointments for each. 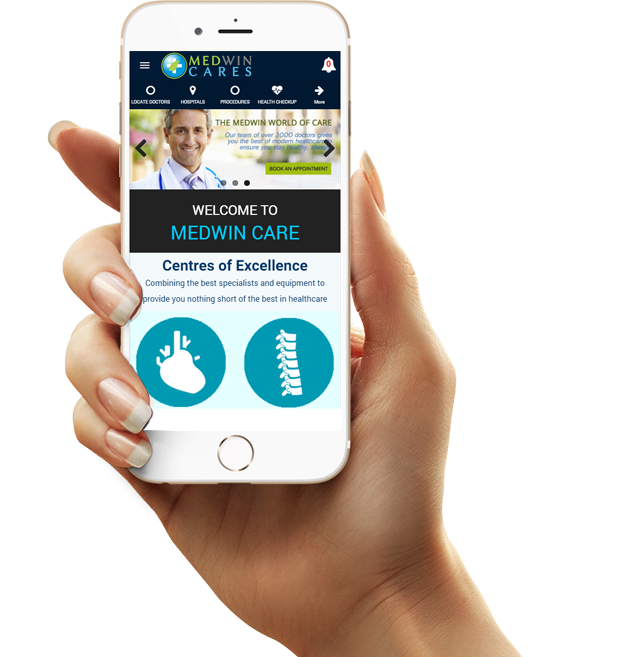 Patients can use the GPS features enabled in your instant app to receive step by step directions to your offices. With Webkon apps, healthcare professionals can address to the needs of people via multiple channels. With Webkon apps, the professionals get a URL that but they can distribute through Facebook, Twitter, LinkedIn, SMS, email, more. This way they can reach out to a huge customer base. Webkon apps allow healthcare professionals to update content as and when required. They can add an important piece of information or delete something which is not necessary. They can add the names of new services that they are going to offer, or remove details about a doctor who just retired. Webkon allows healthcare professionals to send push notifications to the users reminding them of an appointment or inform them of a free consultation that they can avail. Push notifications regarding a discount in medicine prices or a blood donation camp in the nearby dispensary can be send to the users. Webkon apps support augmented reality. In this manner the healthcare industry gets the immense opportunity of uploading photos and videos. For instance, a physiotherapist can upload videos of exercises that must be done regularly to remove pain from joints. Similarly apps for physical fitness can showcase videos of people performing yoga other exercises. Record plays an important role in treating a patient. Doctors need track on the patient history record if the treatment is prolonged and the provider keeps changing. Webkon apps are progressive web apps and therefore are light and easy to use. The best part is that it ensure high performance and fast speed. A person in an emergency condition or in an emergency situation can reach out to Webkon apps for assistance. The apps offer native look and feel and thus can be easily used by even a beginner. Webkon apps allow healthcare professionals to showcase as much information as they want. From images to videos, from brief introductions to in-depth descriptions, everything can be added without worrying about the app becoming heavy. Progressive web apps do not take away the memory space in the mobile devices of the users. Webcon Apps come along with GPS locator that can help the user to find his way to the hospital. In case of emergency the person driving would not have to go through the tedious process of asking people his way to the hospital as Webkon app comes integrated with GPS. it can easily locate the nearby hospital and facilitate this the user with directions.